Appearance: Dark gold with a foamy head. Palate: medium bodied. Crisp, grassy and bitter with a subtle underpinning of sweetness. Finish: Dry and bitter. Lasts quite some time. Parting words: This is the first beer I’ve had from Chapman’s and it’s pretty good and a good example of the style. It’s a fine table beer and would be quite refreshing served ice cold in the summertime. The biggest problem is the price. For that much, I expect more than this by-the-numbers approach. 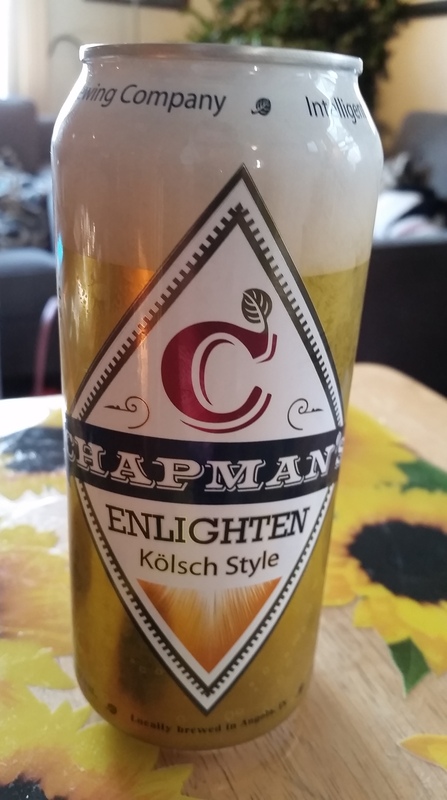 Chapman’s Enlighten is mildly recommended. Reblogged this on Midwest Beer and Wine.